Thirsty Pilgrim: A Cosmic De Dolle Debut, and Other News. 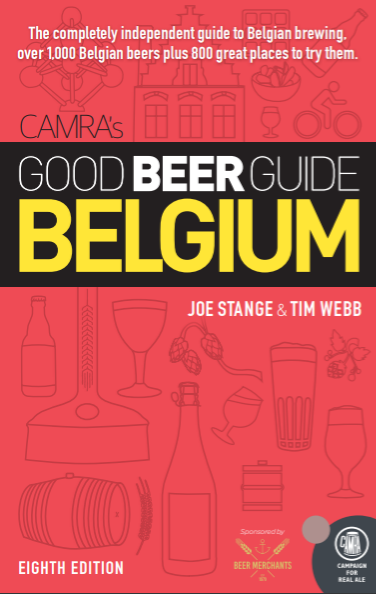 Firstly: The Belgian beer world is highly populated with two sorts of breweries: up-and-comers and they-just-ain't-what-they-used-to-bes. Several others never rise above mediocrity, so let's ignore them. Who does that leave? The heavyweights. The old guard. Regardless of size, these are the breweries that put out the true "world classics." They don't diminish with success. You can count them on two hands, and you won't even need all your fingers. One of the indisputable heavyweights is the 29-year-old De Dolle, makers of Oerbier. Thus a quick persual of the Zythos Beer Festival's list produces a major piece of news: a new beer from De Dolle. The Cosmos Porter is 8% strength. Cosmos apparently was the name of three beers made at defunct Costenoble, which occupied the ground where De Dolle now brews. According to our friend Joris Pattyn at the Babblebelt, none of those three was a porter. And that's all we know at this point. Nextly: Watch out for a Brussels-based brewery called OWA. In fact, it's not a brewery at all. Apparently the man in charge has been telling anyone who will listen, including journalists, that he is a brewer and has a brewery in Brussels. Not true. Meanwhile, let's all think about the importance of accurate beer labeling. Would it be so hard to legally require breweries to publish the actual location of brewing on their labels? In Belgium there are too many fakers. I have no problem with "beer firms," but many are only too happy to be mistaken for real, working brewers with their own breweries. Finally, and most importantly by far: Our thoughts are with beer journalist William Brand, his family, and his friends. Bill was in a coma after being struck by a commuter train Sunday night in San Francisco. A news report is here. His recent coverage of SF Beer Week is here. Bill was listed in critical condition. Jay Brooks reports that doctors have said his condition has stabilized, but it appears that he is still listed as critical. My best guess is that he is still in a coma but, after surgery, his injuries are no longer immediately life-threatening. Bill: I've never met you in person, but I admire you. There are a lot of beer writers out there these days. There are too few beer journalists. Stay with us.